Two pairs of team event teammates battled for the Regular Doubles lead over the weekend, but, in the end, it was PBA Southwest Region Bowler of the Year Chris Hibbitts (695) & Clint Dacy (625) claiming it with a 1,320 total. They were battling with USBC Hall of Famer Carolyn Dorin Ballard & former Team USA member Steve Smith. Kruse's Pro Shop (Fargo, ND) used a near-perfect final frame, with four of the five members recording at least a double, to post a 1,061 game, along with games of 1,021 and 1,116, and take the Regular Team lead with 3,198. Is it against policy to post "our opinions" on the pattern after we bowl it? Course for me its gonna be awhile, im not bowling till the May 25th & 26th. This will be my 15th straight year! Not sure what avg their gonna use for me?!? My new "sport adjusted avg", aka based on my USBC Open tourney avg, its 205 but my book is 208. I too totally disagree w/ their new policy of not publishing the pattern, and also that even w/ it, it really didn't give us much of an advantage. Particually when trying to practice on it. It's 1 thing to give your "Lane oil man" the pattern, its a totally different thing to actually accurately oil that way AND have it match exactly to what you'll see in Vegas. I've done this b4 an every time I got to natl's it was totally different than what I had practiced on. And the live streams? yeah they were nice. U could get somewhat of an idea on where to play/how to attack, but finding a bowler w/ a similar style to you? Not so easy. Everyone bowls differently, an once u get on the lanes, its just u an the pattern, an all u've got is your knowledge a skills to try an attack it. Seeing what the pattern is, watchin others bowl it, or practicing on it, can't substitute you actually on the lanes bowling it for real. The main thing u really wanna practice for USBC???? Spare shooting!!!! This will make or break you. Obviously splits u wanna try to avoid but they are inevitable. All u can really do is to try an cut down on them as much as possible, well really all opens. As for watering down the field and spreading the $$ around thinly? ehhh, are any of us really there to make a living? We're there for the challenge of it. Hell I go just so I can right it off my taxes. I make my $$ in the other tourneys and use USBC for tax write offs =) Course having said that, its been awhile since I came home with OUT a check. Wow, I just checked and I'd hafta go all the way back to my first trip to nationals in Knoxville 2003 when I came home w/ $0, well should also mention got zip in '05 in Baton Rouge but, that was kind of a weird year: Only got to bowl team, wasn't allowed to bowl dbls/singles due to a train derailment, they closed the convention center BUT they went ahead an paid my entry fee for the next year, so not a total loss. Albuquerque was my smallest check $33.78 which was '08 I believe. wow, interesting. but regardless, its never enough to cover the expense of going. No, we're allowed to discuss it all we want. I'll be bowling a month from today, and will have a full report when I return. As for your average, they'll use the higher of the two. Either way, you'll be in the new 180-209 Standard Division. I like the spreading out of the money. It makes it easier for more 190-210 types to justify the expense of going. If we're not getting our heads beat-in by professional caliber bowlers in the brackets and prize fund, its easier to decide to go. But just like you, I'm not going for money either. A nice check at the end or a good day in the brackets is certainly nice, but that's not that point. The last two years I've come home without winning a penny. Tony Buck (Rockford, MI), despite being a consistent performer, had never posted a number for others to chase until Sunday in Regular Singles, where he worked with the other lefties on his pair to post 267-224-277 for 768. Apparently there are some videos posted on the USBCOpenChamp Facebook page. And if you go watch them its becoming exceedingly clear that the shot is outside. Today they posted final shots of a 299 and a 300 bowled in the Bowlers Journal; both bowlers playing the 2-3 board. I don't know about you guys, but that's to my liking. 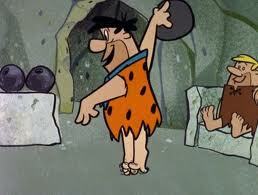 In the summer sport league I used to bowl cheetah was always my best pattern, by a long margin. And that's what the reports rolling in are...it plays like cheetah with more oil up front. Pack your smooth rolling equipment. That's encouraging for those of us that do not have a lot of hand. If I can play out there without having to worry about keeping my speed down, that would be really really good. At El Paso and Reno, I played very conservatively lines with little success. My driller/coach suggested I try playing deep inside this year. He and I bowl in the same league and we also go to Nationals. As such, he knows my game pretty well. The plan is to come out swinging with more aggressive equipment. I recently had a new ball drilled up especially for this, a Track Cyborg. 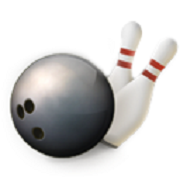 If the Track Cyborg is too much, I'll drop down to the ebonite Gamebreaker 2. If worse comes to worse, I can fall back to my weaker equipment and go back to conservative.